The 10th October is World Mental Health Day. To mark the day in 2016, Kate joined husband William and brother-in-law Harry at a charity reception in London. Later, the royal trio visited the London Eye tourist attraction too (find out more here). 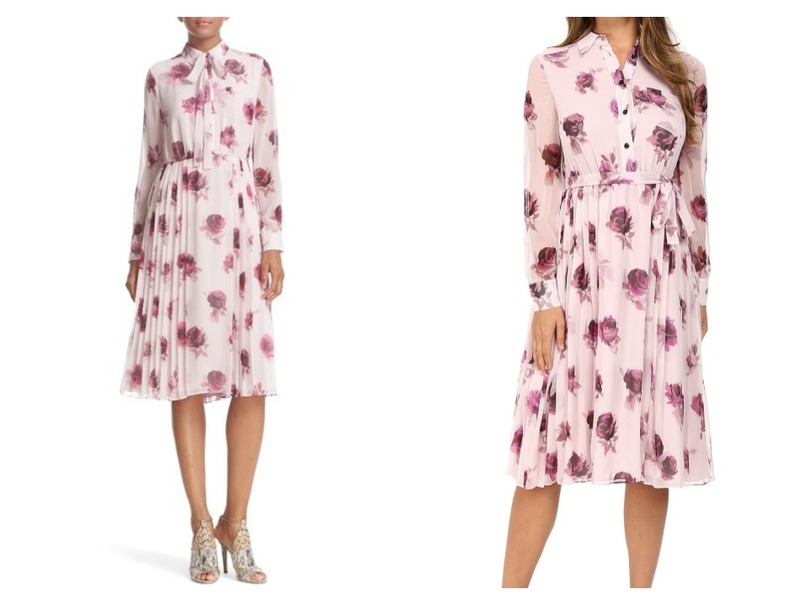 Kate wore a pink and purple printed dress by Kate Spade New York for the occasion. It’s the label’s Encore Rose Chiffon Dress. The dress features a removable tie at the neckline (which can be worn as a belt instead – see below), long sheer sleeves, a knee-length pleated skirt, an inset waist, a patch pocket on the chest, buttons to the waist and a point collar. The dress is made from 100% silk and it is lined. 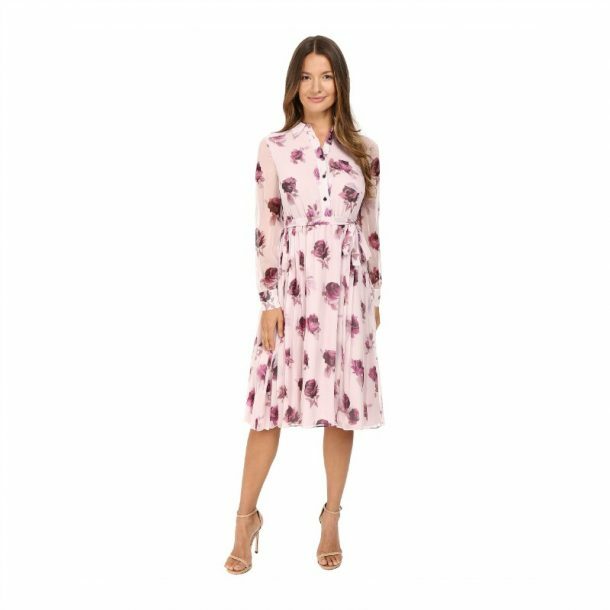 A rose print on pale pink silk defines the decidedly feminine air of a buttoned-up shirtdress primly styled with a slender tie at the point collar. An inset waist nips the silhouette before precise pleats add measured movement to the A-line skirt. Kate Spade is a new brand for the Duchess, though her sister Pippa Middleton has worn many pieces from the brand throughout the last few years.